A couple of weeks ago I felt a nudge from my Angels to "download" a new prayer. I invited my Facebook community to share what they/you most needed support with. I had plenty of responses, many with similar themes. 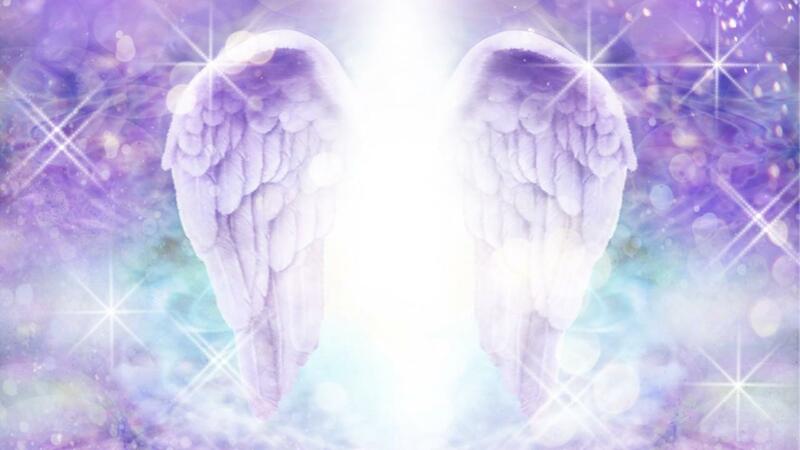 As I read through the requests I felt the enormous presence of an Archangel. The energy was familiar, I've worked with this vibration before. The undeniable glow of Archangel Raphael's essence lit up my third eye and pulsed on the page as I absorbed the words. 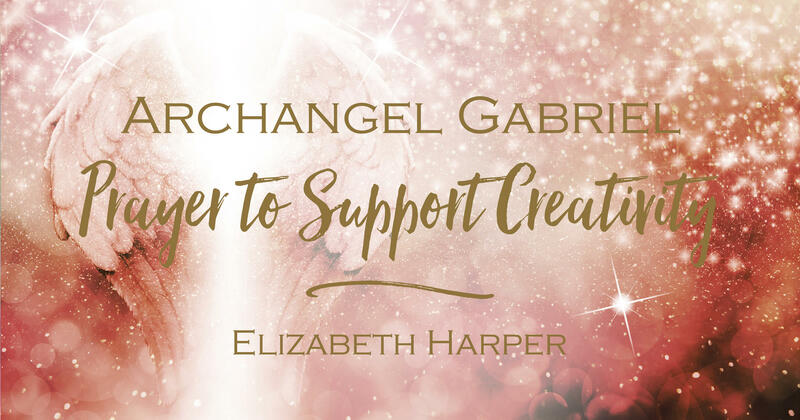 Do you call in Archangel Raphael when you need to heal on a physical level? Archangel Raphael is known as the Healing Angel. I channeled an incredibly powerful meditation given to me by this mighty Angel a decade ago, and here again my call has been answered. When we think about healing, our thoughts may stop at the physical body and yet this Angel's power goes way beyond the physical plane. What's interesting to me is that the prayer didn't immediately come through. What we sometimes forget is that we are connected to the flow of cosmic forces. 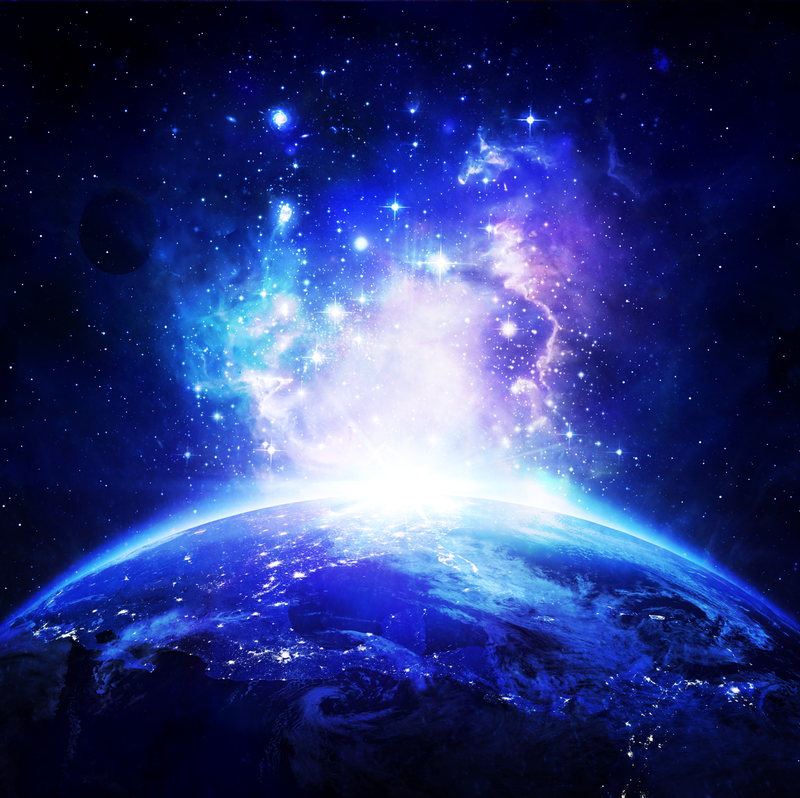 It may sound New Age, but when the stars are in alignment certain events are triggered because the environment is exactly right for their manifestation to occur. Archangel Raphael's prayer came through yesterday and continued to infuse my soul throughout the night during my dream state. We're currently moving through Mercury Retrograde and experiencing a powerful Solar Wind. When I asked what this meant the answer that came to me was that this combined force will if embraced, burn away whatever we've identified with that we need to release in order to reboot our Karmic Pathways. This is not a term I've heard before and when this message was coming through my left brain had a bit of resistance. I find that when a message is "channeled" no other words come in until I've relayed the message. This happened with the term Karmic Pathways. So I asked Archangel Raphael what this meant, and here is the essence of our conversation. 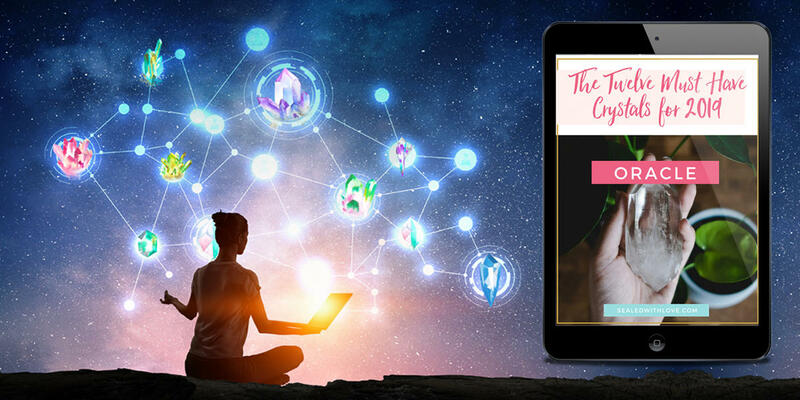 Let me just say that as I received this message there was as always with the energy of Archangels a HUGE presence around the top of my head and a pulsing vibration passing through me that made my heart pound. This might happen to you too. Karmic Pathways are in essence the light pathways running through your chakra system. They are the lines of energy that add life to your body and to the experiences in your life. Sometimes these lines get clogged with thoughts and emotions. They also get blocked with "to do" lists and agendas that we set for ourselves. "I must be more abundant"
"I have to get well"
"I need to be the best for everyone around me." While energy can perform multiple tasks all at once the human system can get weighed down with too many jobs. We get anxious and move into fear. We worry about not being successful at a specific goal we've set for ourselves and this then gets in the way of our healing. When that happens there is a backlog of experiences waiting to be scheduled, but it can't manifest until the to do list is fulfilled. It can become a perpetual cycle where we continue to experience the same thing over and over again. So Archangel Raphael has come in with a prayer to clear the pathways. Now here is something that came up as a confirmation for me. Just as I was writing that sentence above about the prayer, an email came through. It popped up on my computer screen and this is what it said "CLEARING YOUR PATH FORWARD" I just LOVE how resourceful our team are. This was the perfect confirmation for me and at exactly the right time. I recorded the prayer so it's really easy for you to listen to every day. It's short, but potent. Words have power and when you use YOUR OWN VOICE that power is enhanced. So as you listen and hear me say the prayer speak it along with me, either in your mind or aloud. Your essence will infuse the words, joining with mine and that of Archangel Raphael's. 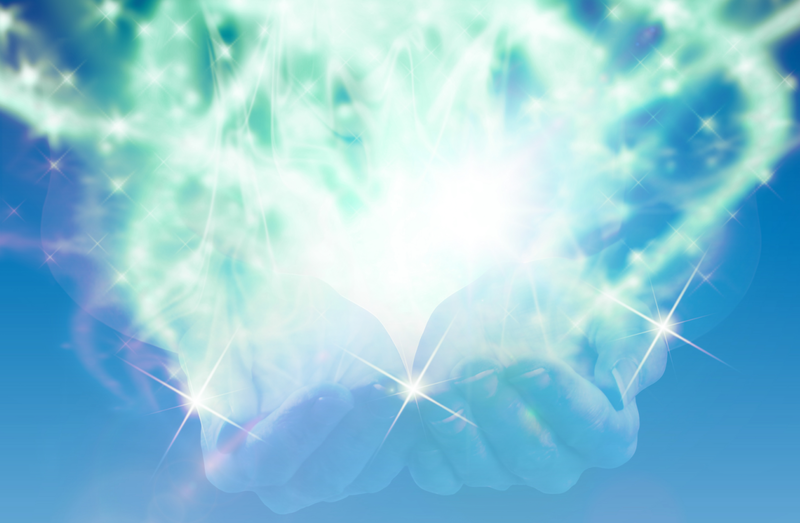 The combined force in the POWER OF THREE will help clear the karmic pathways on all levels of being. I am also told to ask you to open your heart as you speak it. What does that mean? Imagine you are energy and as you say the prayer the energy at your heart opens up like double doors opening. Invite Archangel Raphael into your heart through the doorway. You can imagine light, or the color emerald green filing your heart with love, healing, abundance, joy, happiness, success, whatever your focus is. 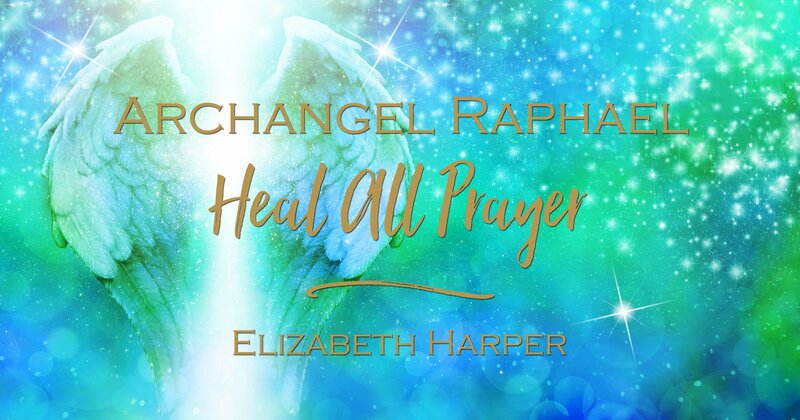 Click below to get your FREE Archangel Raphael Heal All Prayer. Remember to come back here to let me know how the prayer resonates with you and if you too can feel the force of this Angel's power through the words and energy. Elizabeth Harper Hello Karen, Thank you dear, yes you're right, they can totally be distracting when they're popping up all the time. I can change that so they aren't popping up with such frequency. Marie Victoria Edwards I would love to print your prayers. Elizabeth Janine, it doesn't look like you signed up for it. You got the Color Kit so its exactly the same. Just click on the box, add your email and name and click the button. People that have had problems have either made a typo with their email address or have already signed up and received the prayer previously. It doesn't look like you had a typo, but I do note you have two email addresses in my system, so I'll see if we can combine those into the current email address you're using here. Janine Hi there, I also can't get the prayer? Love your readings? Martina Hi, I couldn't sign in properly to request a prayer for Archangel Michael and Rafael...please could you email them to me? Denise I got very emotional during the Archangel Raphael Prayer. Andrea Lewis Thank you Elizabeth! I've done this prayer for the past few evenings and it's had a profound affect. I experience my heart centre opening and envision the green emerald light around it. Since internally saying this prayer my energy has felt lighter. Lia Thank you looking forward to the prayer ?